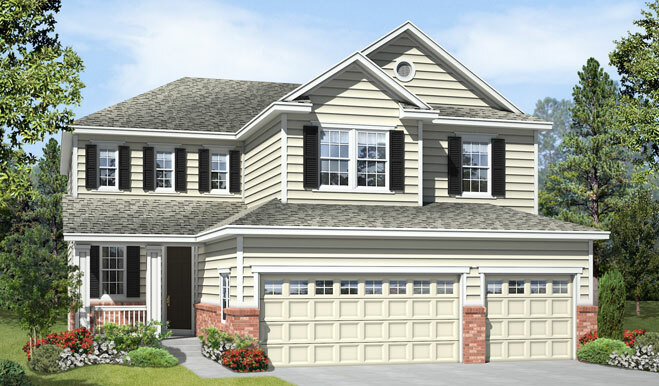 This beautiful new home is situated on a desirable cul-de-sac. On the main floor, you’ll find a private study, a formal dining room and an extended great room. You’ll also appreciate a gourmet kitchen with a walk-in pantry, center island, double oven and breakfast nook, as well as an adjacent covered patio. Upstairs, enjoy a convenient laundry, a spacious loft and four inviting bedrooms, including a lavish master suite with dual walk-in closets and a deluxe bath with separate shower and soaking tub. Includes an unfinished basement.